This Beautiful Aran Button Mens Sweater is made from 100% Irish Merino Wool ensuring you Warmth and Softness. 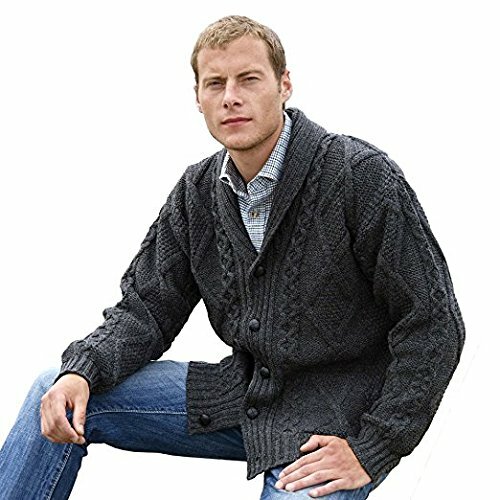 This sweater is made using different traditional aran stitches combined with more contemporary designs also with vintage style brown aran buttons down the front. Promising outstanding quality with great comfort this authentic Irish sweater will keep you snug, stylish and fashionable all year round.